RV camping is a lot of fun, but when the time comes to store your RV, there are a lot of RV Storage options. You want to put your RV somewhere that you know will be safe and protected, since you don't want it damaged or stolen. With the size of your RV, you also have to be aware that storing it may require a specialized location. You can't just put it anywhere, because there simply isn't room for it. Finding the right storage location doesn't have to be difficult, though. Most cities and towns have options that will work for you. The average size of a recreational vehicle is between 18 feet and 25 feet in length. As such, you need a large storage unit that is specialized in fitting larger mobile homes, RVs, or campers of this size. 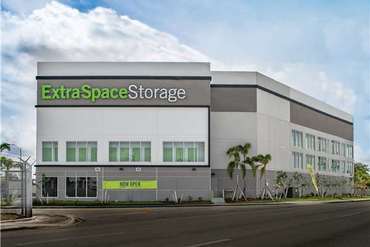 While not all self-storage facilities offer this type of storage, many do. By checking around, you can locate an RV storage option that will work for you, and that you'll be happy with. Check on prices, amenities, and the exact location of the facility, so you can determine whether you want to use that particular storage facility or whether you'd like to choose a different location that might be a better fit for you. With all the options you have for finding the right RV storage location, you're sure to find one that's going to give you what you want and need from a secure storage facility where your RV will be well protected and ready when you want to travel again. 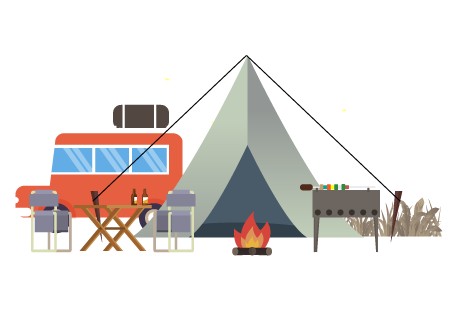 Recreational vehicles, campers, and travel trailers come in a wide variety of sizes and shapes. That gives people who want to use and enjoy them a lot of options. Some people like to have a small trailer they can pull behind their vehicle, and others want to have a full-sized RV they can drive down the road, possibly towing a car or truck they can use to drive around in when they get to their destination. There are all types of options, and all types of people who want to consider those options, so they can do what works for them. As such, when you decide you need to store your RV for a while it is important to measure your RV carefully to ensure that you are choosing a unit that will suit your needs fully. You don't want to get a unit for your RV, and then find out that it won't fit when you get there. It's not just about the length of the RV, either. Some of them are taller than others, and some may be a bit wider. The width shouldn't be too much of an issue, since the storage units are generally all built wide enough to accommodate an RV, and there are specific highway regulations about how wide that RV can be. The length and height, though, can be significant factors in whether an RV will fit into a particular storage space. If you are choosing an indoor storage unit, then it is even more important to know the exact dimensions of your RV prior to renting a space. These indoor units have less room for error than outdoor storage spaces do, so you don't want to make a mistake and end up with a rented unit you can't use. That could cost you a lot of money you don't need to spend, and you may not even be able to switch for a bigger unit if there isn't one available. With careful measuring and some discussion with the storage facility, you can get an RV storage unit that's going to fit your RV and meet your needs and budget. That will keep your RV safe until you're ready to use it again. There are not many indoor RV storage units, but they do exist. People who own very expensive RVs like these units, because they provide much more complete protection from the elements that would not be possible with outdoor units. Unfortunately, if your RV is especially large, you may not be able to find one in your area that is located indoors. That's not entirely surprising, especially if you live in a small town, or an area where there are not a lot of RVers. It's a supply and demand issue, but there will still be outdoor storage options that will work well for your RV and help protect it when you're not using it for fun and adventure. If your RV is on the smaller side, however, you may be able to find an indoor storage unit that will hold your RV quite well. These units are typically between 12-15 feet wide and up to 50 feet in length. The width is generally not an issue, since there are highway regulations as to how wide RVs and other vehicles can be. The length, though, is where you'll potentially run into an issue. Measure your RV carefully, from the very tip of the front bumper to the very back of the rear bumper, plus any tow hitch that extends the length. The more careful you are about measuring your RV, the less likely you'll be to rent a unit that you can't use because you measured your RV incorrectly and actually have an RV that is too long to go into the space properly. Indoor storage units are a lot more expensive than land lots, but they are ideal if you want to protect your RV from damage and maximize its value. When you're shopping for an indoor storage unit for your RV, it's a good idea to stop at the facility and check out the space. Take a look at where your RV will be stored, and make sure you can get into and out of the unit and the facility easily. There should be plenty of room, and the facility should be clean and deliver on what it promises, so your RV will be properly protected when not in use. One of the most popular ways of storing an RV is in a common covered RV parking space, which is a parking space with a roof. It's a very simple design and doesn't protect from all the elements like an enclosed space would, but it's also much less expensive. Most RVs don't need extreme protection from the weather, because they're made to be used. They can handle the summer sun and winter snow, but it's a good idea to protect them at least a little bit if you're not going to be using them for a long period of time. It's just easier on the paint and finishes that way. The covered parking space protects your RV from rain and sun, but not from wind, so there can still be a risk if the wind really blows hard. That's especially true if you live in a climate where there can be dust storms, because the dust and fine sand hitting your RV can be hard on the paint. That's something to consider, but it shouldn't stop you from using a covered parking space for your RV. Many people do, because it's among the easiest and least expensive ways to store their RV when they aren't using it. While this type of RV Storage does not have any amenities, it is an economical way to store your RV when not in use, and better than trying to park it at your house, where you might not have room. There are two basic types of covered RV storage. These are stand-alone canopies, and three-sided walled canopies. Three-sided canopies offer protection from the wind and from most damaging weather effects. It is a bit more expensive than a stand-alone canopy storage space, but it will protect your RV better. When you're trying to decide which covered RV storage you want, make sure you consider your climate, how often you use your RV, and other factors, including the price. Looking carefully at all the options and reasons for using one type of storage over another can help you make the best choice for your RV. The least expensive way to store your RV is an RV land lot. These lots are inexpensive because they are not covered. You are allowed to park your RV on the lot, in a parking spot. This allows you to take advantage of the facility's security features, such as private fencing, security cameras, and adequate lighting. While your RV will be protected from robbery and vandalism, it will still be exposed to the elements and extreme weather conditions. Many RV owners don't mind that, because their RV would be exposed to the elements if they stored it at their home, as well. A lot of communities have HOAs, and they often don't allow RVs to be parked in driveways or beside homes, so RV owners who live in those areas have to find somewhere else to park. A land lot can be an excellent choice. Even though you won't get protection from the weather, just knowing that your RV isn't going to be stolen or vandalized while you're not using it can really help you feel better about your choice of storage. An RV is a target for some vandals, because large RVs often have TVs, electronics, and other items that can be stolen and sold. Having your RV broken into or stolen can feel like a nightmare, and can also be expensive, even with good insurance. Avoid all of that, and park your RV at a land lot location, so you can have peace of mind. Since it's not expensive to get a land lot parking spot for your RV, you won't be spending a lot of money for the safety and security you're getting. It's well worth the price, since your RV is such a big investment. Don't pay all that money for an RV just to put it at risk by parking it somewhere that isn't secure, when you can get a parking space in a land lot for a great price. Check out the facility first, and get an idea of what kind of security features it has, so you can make the best choice for protecting your RV. That way you won't have any regrets about where you chose to park, and you know your RV will be ready and waiting when you want to travel.